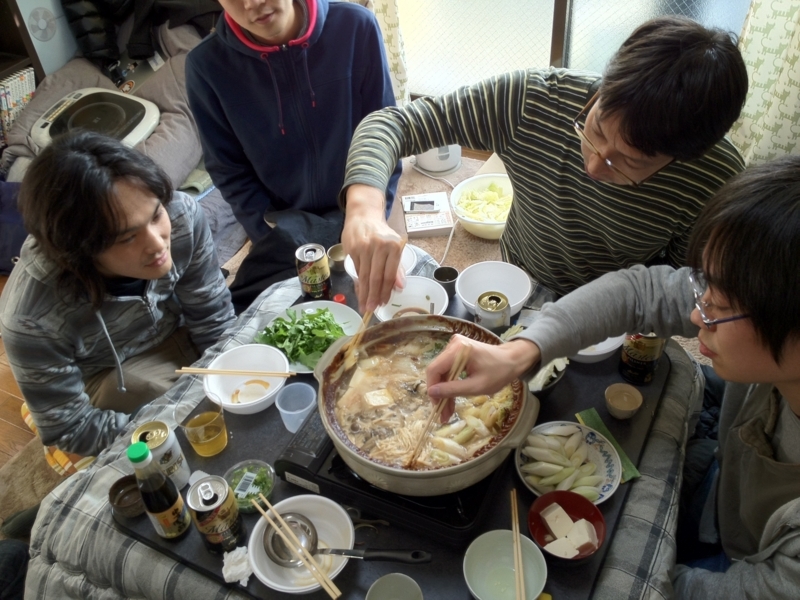 Today we held an oyster nabe party with some of my colleagues at id:hakobe932's room. 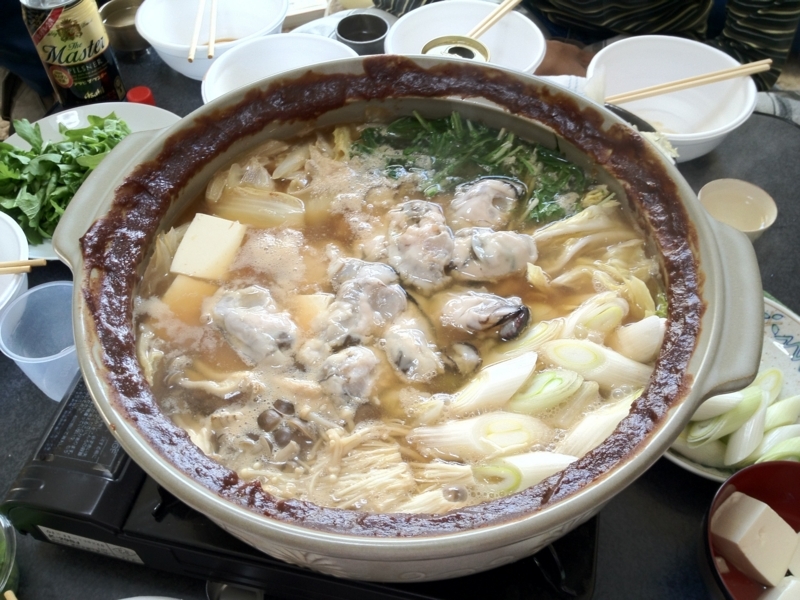 It's kind of our anual event in winter; we had many crabs in last winter. 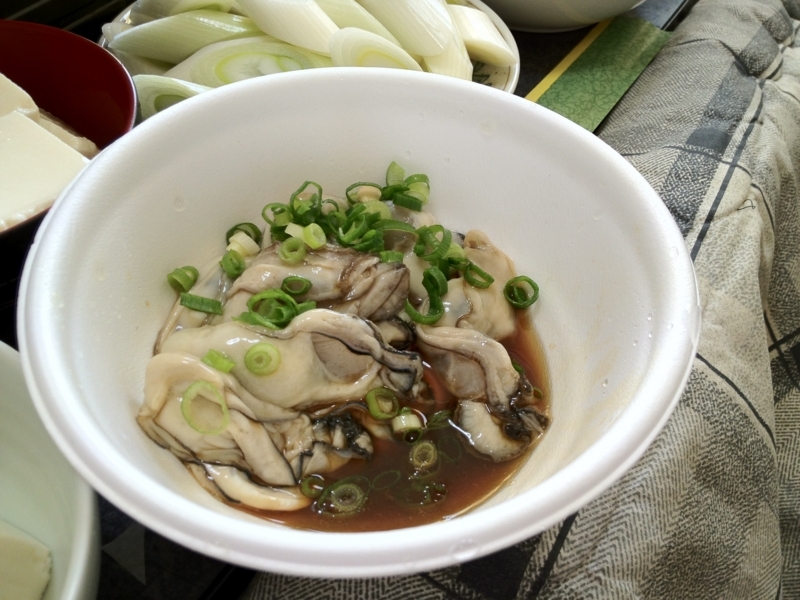 id:onishi ordered a bunch of oysters (He paid for us! Thanks! 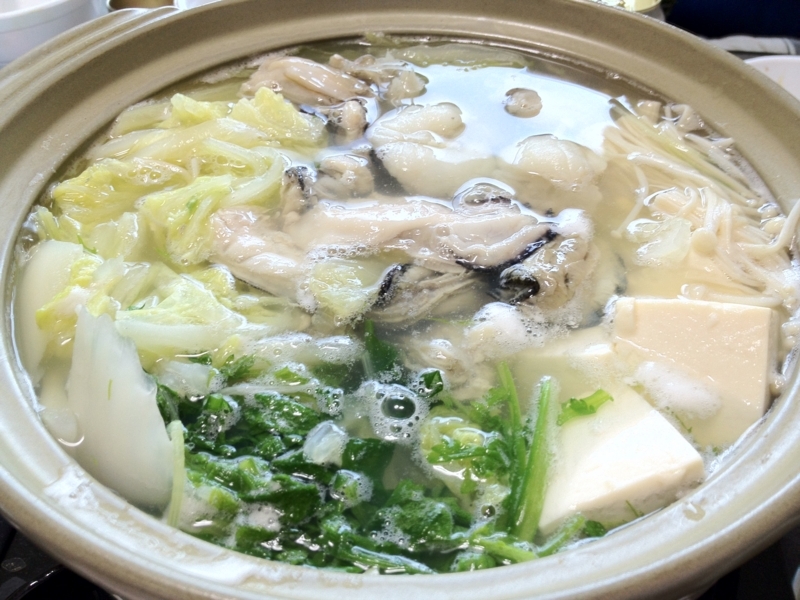 !1), and we had them raw, in nabe, and with rice. 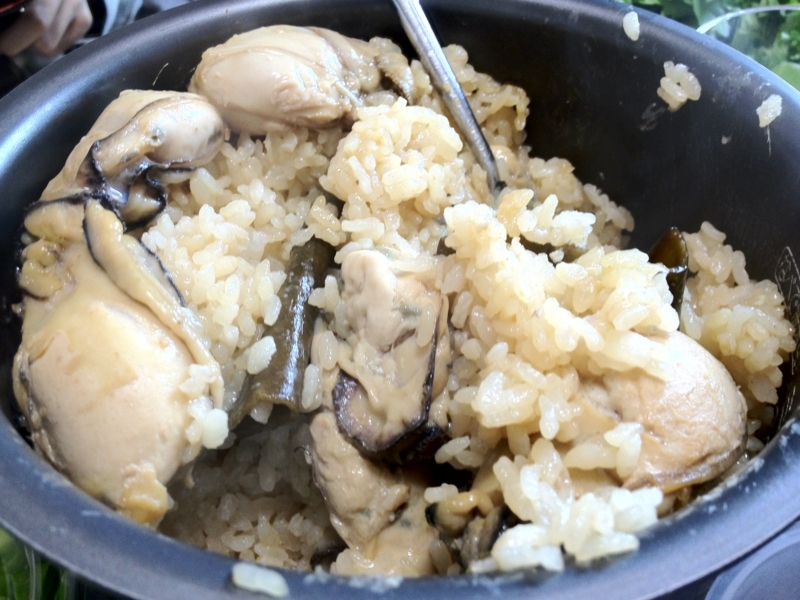 Oyster becomes absolutely delicious even if done nothing special. 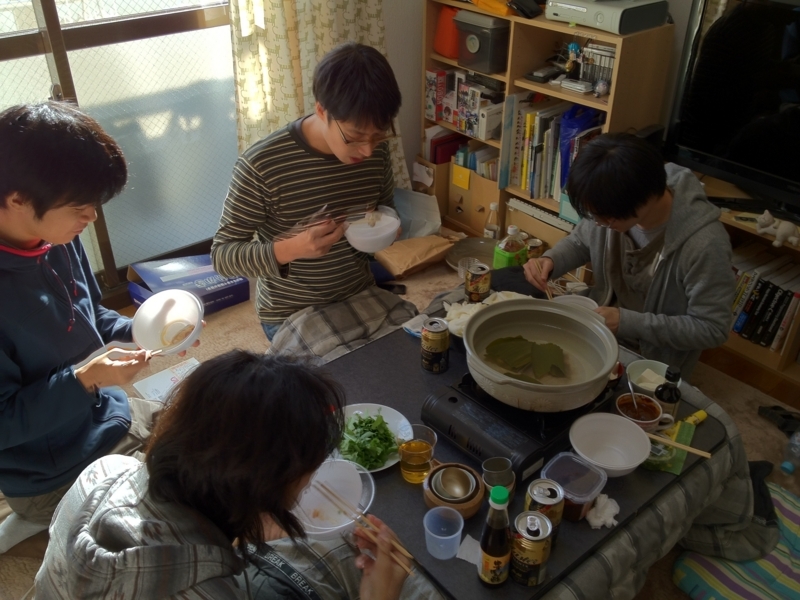 We had many of them and drank beer and sake, 開運無濾過純米 which I brought there, chatting and watching videos till 23 pm and had a nice time together. Thank you guys!